Another large ruined city of the Pre-Columbian Maya civilization is Coba which is located in the state of Quintana. 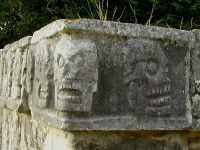 It is about ninety kilometers east of the Maya site of Chichen Itza. Not too far from the Caribbean Sea, and also near to Tulum. In proximity are two lagoons and a series of elevated stone and plaster roads. the locals called it Sacbe or ‘white ways’. It also leads to Yaxuna. There are large temple pyramids, one of which is the tallest known as Nohoch Mul group of structures. Some are even 42 meters in height. Coba used to be occupied by an agricultural population in the 1st century. While the dated hieroglypic inscriptions were mostly from the 7th century. 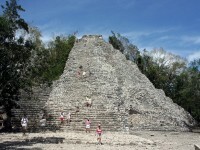 The Ancient Pyramid is open for the public and tourists and visitors can climb up to the top of the site. There are 120 steps up for those with a good health and energy to make it up there. Coba can be reach via excursions tours from either Cancun or Riviera Maya. Tulum used to serve as a major port for Coba. 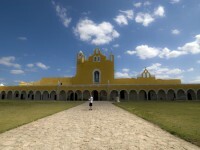 The ruins are on 12 meter tall cliffs, along the east coast of the Yucatan Peninsula. 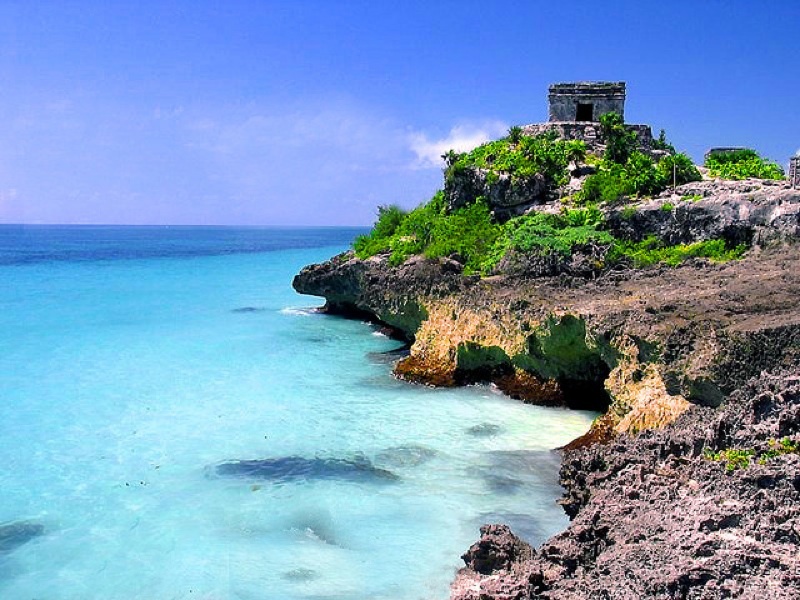 Tulum is known to be one of the last cities inhabited and built by the Mayans. Today it is one of the best preserved coastal Maya sites to be visited. It has a compact archaeological site. Very near to the other famous sites in Mexico as well, Tulum is the third most visited ruins after Teotihuacan and Chichen Itza. 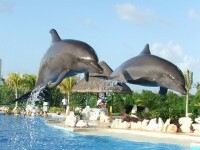 You can see the picturesque view of the Caribbean and some parts of the beach resort of Cancun. There are a large number of cenotes namely the Maya Blue, Temple of Doom, Naharon, Vacaha, Tortuga, Abejas, Grand Cenote, Carwash cenotes, Noboch Kiin. So if you visit Tulum, other than seeing the archeological site, the town (pueblo) and the hotel zone, most people also will check ou the biosphere reserve of Sian Ka’an. This biosphere reserve is formed with a mission to conserve the biodiversity. It is also the Mexican National park and a UNESCO world heritage site. Efforts were made to protect the natural areassuch as the reefs of Banco Chinchorro, Xcalak, Cancun, the island of Cozumel infront of Xcaret and Contoy Island in the north.